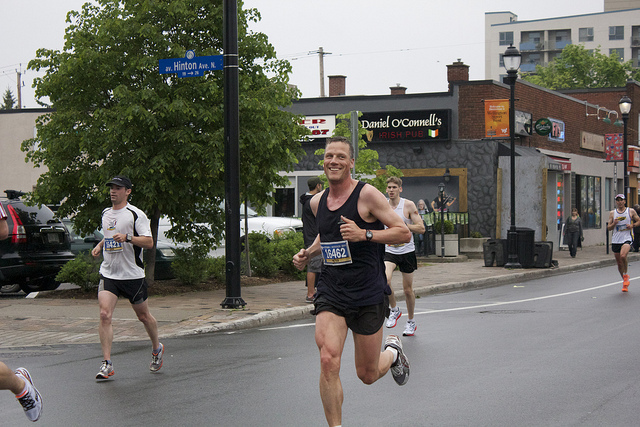 FCAMPT physiotherapists in Ottawa? Add Andrew & Peter to the list! School may be out for summer, but that doesn’t stop our team from working hard! 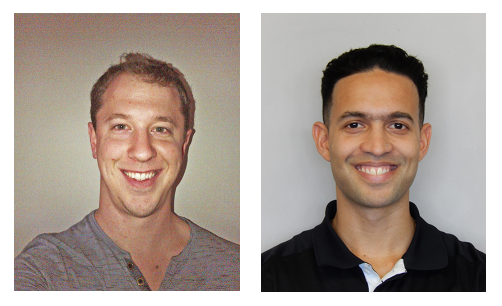 We are so very proud to present Mr. Andrew Dings & Mr. Peter Wade as the newest members of our team to become Fellows of the Canadian Academy of Manipulative Physiotherapy (FCAMPT). Congratulations Andrew & Peter! FCAMPT is the highest orthopaedic designation possible for a physiotherapist (ie. it’s kind of a big deal)! Physiotherapists with the FCAMPT designation are all about the highest level of quality, patient-centred care combining clinical experience with evidence-based practice. Exactly what you’d expect from Ottawa Physiotherapy and Sport Clinics. The designation requires extensive post-graduate education in the area of orthopaedics, including internationally-recognized qualifications in hands-on manual and manipulative therapy. Orthopaedics doesn’t refer to shoe inserts, but muscle, nerve and joint problems. This means a CAMPT physiotherapist is going to do more than just look at your sore back and treat the area between L4-L5. You can expect an assessment that could measure many things: function, strength testing, analysis of your walking patterns, posture, balance, and joint movement to get a full picture of your condition. It’s about the WHOLE picture, not just localized treatment. So if you’re looking for an FCAMPT certified physiotherapist in Ottawa we’re only a phone call away! You can schedule an appointment anytime by calling our Orleans, Barrhaven or Westboro office. Needles = pain?! Nope. Acupuncture = treatment for chronic pain! For those who are skeptical, Orleans acupuncture might conjure up anxieties about needles or an image of Pinhead from Hellraiser. For those who have found relief from chronic pain, acupuncture is a miracle. From your father’s ever-sore back to your bum right knee, many of us have struggled with the effects of chronic pain. From depression to sleeplessness to loss of mobility, it often goes far beyond the pain itself. Unable to ease the pain, people often try to learn to live with it, but there’s no need: acupuncture can effectively treat chronic pain. What makes pain chronic? It lasts longer than 12 weeks, and can persist for months or more. While it is often the result of a known injury or trauma (ie. why you should come in and see us as soon as you get injured), sometimes illness or undiagnosed problems are the cause. You might think “Aches and pains are a part of aging!”, and decide to just tough it out, but the localized pain itself isn’t the only problem. Pain has an effect on the nervous system that can cause you to become more sensitive to other pain, known as “central sensitization.” Even things that wouldn’t normally hurt can become painful, and it can persist far longer than in a pain-free individual. There’s also an emotional burden attached to constant pain, leading to anxiety, anger or fatigue. If that wasn’t bad enough, those emotions can decrease the body’s natural pain defenses, creating a vicious cycle. Oh, and long-term chronic pain has been shown to suppress the immune system. Bad on all counts. 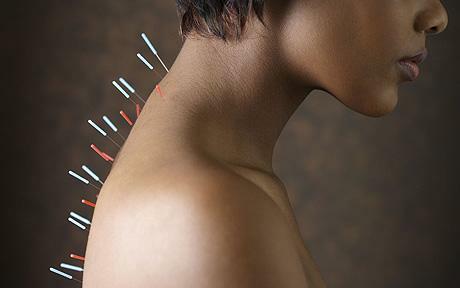 Orleans Acupuncture may not be the treatment you think of, but you should really reconsider. It is currently being used to treat everything from headaches to cramps, back pain to asthma, and with good reason: a large scale study with data from over 18,000 people showed acupuncture to be an effective treatment for chronic back, neck and should pain, osteoarthritis and headaches. These were clinical studies, meaning it’s been proven to work. If you or a loved one is dealing with chronic pain, any of our physiotherapists can help you figure out if acupuncture is the right way to go. No horror movies necessary. How to get rid of neck pain? Back pain? Put down your phone, and straighten up Canada! Your mother always told you not to stare at a screen for too long because it’d ruin your eyes. Turns out it’s doing a lot more than that. As people are using more screen-based technology (computers, smart phones, tablets, etc. ), health professionals are seeing an increase in problems like headaches, neck pain, back pain, and even pain felt the face. Not good. Why exactly are these gadgets causing a problem? People’s posture is often horrible while they use them. Heads forward, eyes cast down, shoulders forward – these can all spell bad news. Staring at a screen often takes your head off the vertical, bending it forward up to 45° – moving your head forward just an inch increases the pressure on your neck by 10 pounds. Sitting with your shoulders forward causes tightness in both the pectoral and back muscles – it can also compress the veins and nerves of the arms which increases the chances of problems like carpal tunnel syndrome. Getting rid of technology isn’t going to happen, so what can you do? Seeing a massage therapist can help with tightness and pain. To really fix the problem though, you’ll need to actively work on your posture. Stretches and exercises to strengthen your muscles are essential and here’s a great video series to get you started. If you’re looking for solutions specific to your posture and mobility, give us a call and any of our physiotherapists can help find the exercises that will work best for you. Treatment for vertigo and dizziness: Physiotherapy! Vertigo. Dizziness. 50% of people will deal with it at some point in their lives, and it’s the main reason people will go to see a doctor after the age of 60. Have you experienced either? Suffering with it now? Your first course of action is to go and see your GP, and if their diagnosis is that the problem stems from your vestibular apparatus (an organ in your inner ear), physiotherapy treatments might help balance you out. There are lots of reasons that someone might get dizzy for time to time. However if rolling over in bed or tying your shoes makes you feel like the room is spinning, something is up. 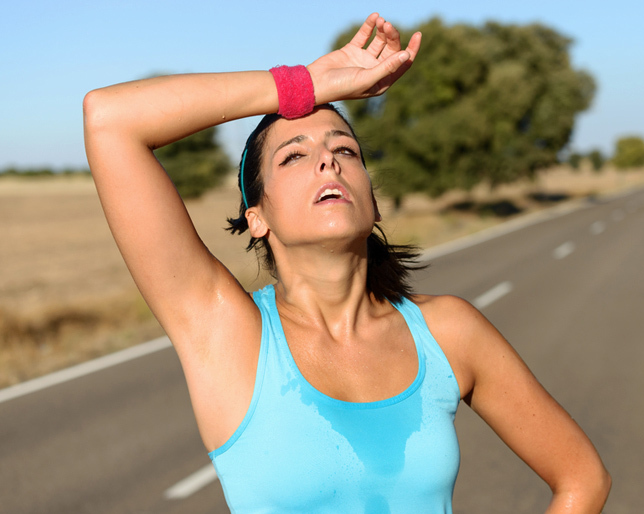 Symptoms like nausea or vomiting are also a bad sign. But don’t panic!!! We can help!!! For vertigo, the first physiotherapy treatment is about 88% effective, and after 3 the treatments are 98% effective. There’s no reason for you to continue to suffer. If it’s not your vestibular apparatus that’s the problem, a neck injury can also lead to dizziness. Physiotherapy can also lead to relief from that. Tinnitus? Yep, another problem that physiotherapy can treat. It’s not just for sore backs or sports injuries people!